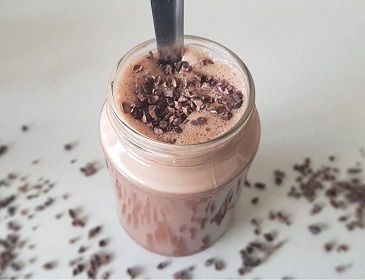 This delicious smoothie recipe combines chocolate protein mousse with chocolate whey protein for a double chocolate hit! Blend all ingredients in a blender until combined. Chill in freezer for 15mins or until starting to firm. Blend again until preferred consistency is reached. Leaving this smoothie to chill for longer will make it thicker, as the mousse thickens when chilled.